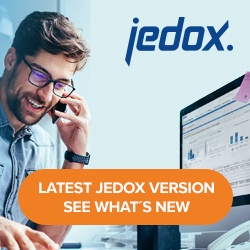 Licenses can be activated and managed in the Licenses panel of Jedox Web Administration. If you have purchased a license, click on “Add License” to activate it. Reactivation: a license entry with the same serial number can be reactivated without removing the existing license. In the Add License dialog, you can enter the serial number of your license and choose a mode of activation. You can also copy the whole serial number and paste it into the first field. The figure below shows the dialog box in Jedox Web; the dialog in Jedox Excel Add-in offers the same options. There are three modes of activation: online, email, and manual. The most convenient way to activate your licenses is online activation. It is fully automatic and your licenses will be activated within a few minutes. Online activation requires internet access from the PC or server where Jedox Web or Jedox Excel Add-in is installed. Copy the activation code and switch to the Activate License dialog. In Jedox Excel Add-in: in the Options dialog, click on the Activate License button. Choose “Manual activation” to enter the code. Now you can paste your activation code in the respective field and confirm with Activate or OK to activate your licenses. When using manual activation you get the following dialog: You will have to contact Jedox Support by telephone to receive your activation key. You will be asked to provide your serial number and hardware key. Once you have the activation key, you can enter it in the dialog.